Splendid Communications ranked 27th in the consumer top 50 after an impressive year that saw group revenue grow by 50 per cent. The agency boasted a 70 per cent win rate in pitches in 2008. Notable successes included winning Pentland Group's Kickers and KangaROOS accounts, snaring Lucozade Energy, and a new relationship handling PR for Phones 4u. The agency took steps to diversify its offering, winning five new digital clients and embedding social media expertise into all of its campaigns. 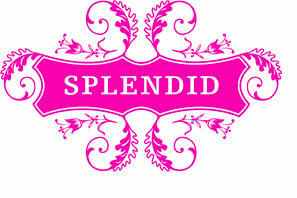 Splendid Studio was also launched to enhance design and copywriting content services. By the end of the year, Splendid had seen it's Sydney office grow substantially winning 10 pieces of new business including Johnnie Walker, MySpace and Cornetto. The year saw a staff retention rate of 90%. To encourage Splendid excellence at all levels, we have introduced award schemes and Client Quality Service Reviews. All staff now have their own career development manager and are reviewed three times throughout the year to ensure skills development and nurture career ambition. Digital will increasingly lead campaigns and dominate clients marketing agenda but the question will move from "How do I do this?" to "How do I make sure this is delivering value for my business?"